Making syrup for canning fruit is a pretty simple task. You can make it as sweet or not sweet as you like. You may also choose to can fruit with unsweetened fruit juice or just plain water, if you prefer. There are many different kinds of sugar, less refined is better. I have used cane sugar, Turbinado, and coconut sugar. Each one offers a different flavor, so try them before you can with them. 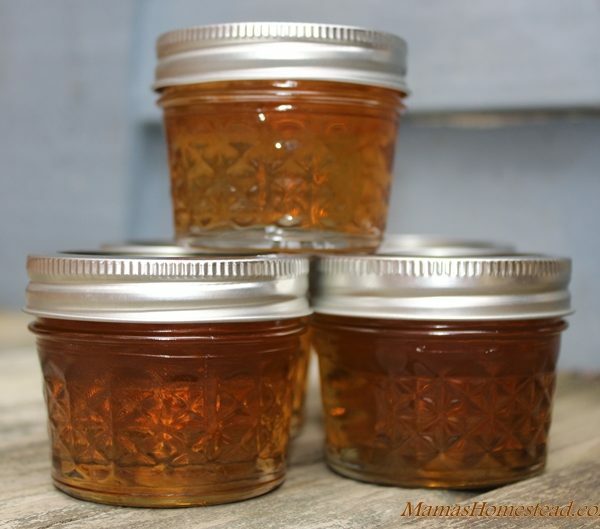 Honey is also a terrific unprocessed substitute for sugar when making syrup for canning. We certainly have a lot of it around here. 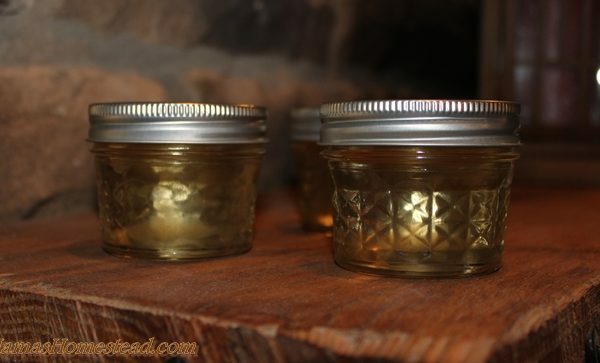 Light honey is best; it has a milder flavor and lighter color. You can substitute some or all of the sugar in your recipe with honey. ½ honey, ½ granulated sugar is a good ratio. Honey will make your fruit a little darker and make it taste different. Honey is sweeter than sugar per measure. 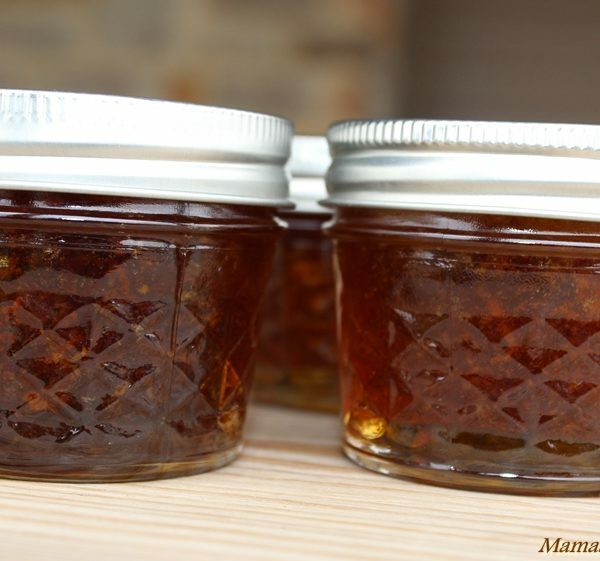 Maple Syrup can also be used to replace up to ¼ of the sugar in your canning recipe. Keep in mind; it will also change the color and flavor of your fruit. 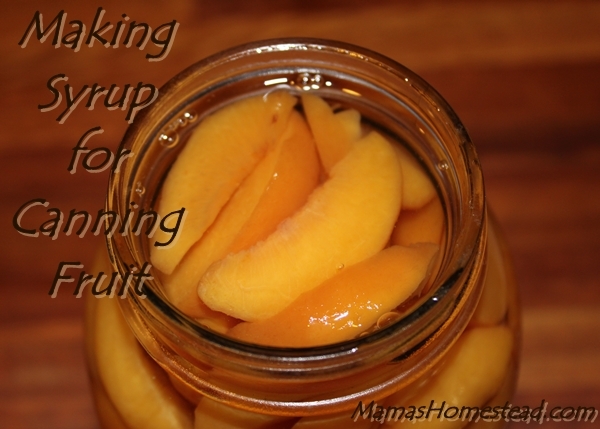 Be creative when making syrup for canning fruit. 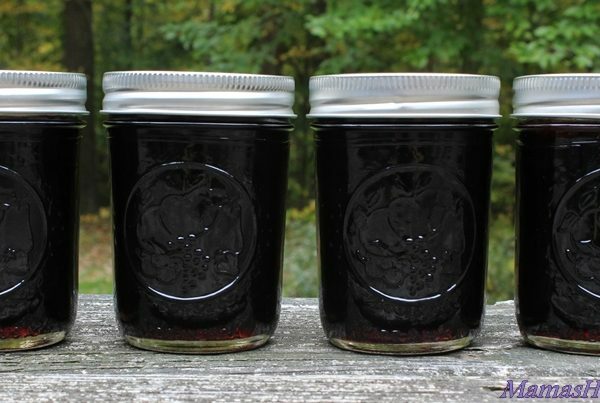 Mix sweeteners together when canning. A maple/honey combo might be fun. *Taste any combination before canning your fruit in it; to be sure it tastes good to you. ¾ to 1 cup of syrup is usually the amount needed for each quart of fruit. Place sugar or honey and water in a saucepan, cook and stir until all the sugar is dissolved. Keep your syrup hot until ready to use.